The Hyundai Venue is all set to debut in India tomorrow. 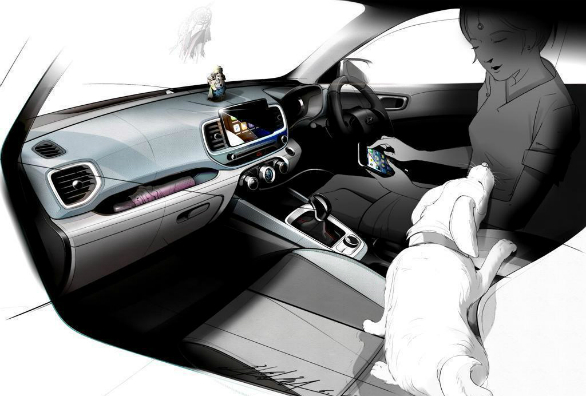 The Korean carmakers have teased the Venue in a promotional video and sketches. The sub-compact SUV has been spotted at the dealership as well. Earlier this week, the Korean car manufacturer released the images of the upcoming Venue on a digital hoarding at the Times Square in New York, USA, as the Venue will also be showcased at the 2019 New York International Auto Show. 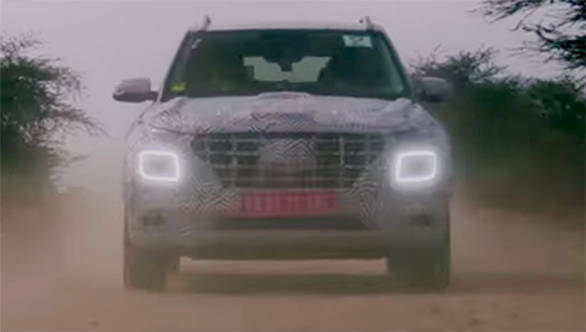 We believe, the SUV will possibly get two petrol and one diesel engine options which could be mated to two manual and one dual-clutch automatic in various permutations across its trim levels. 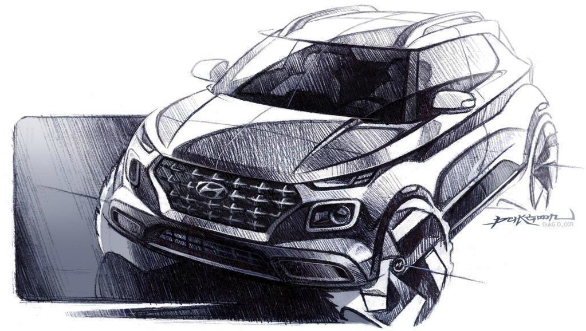 The T-GDI 1.0-litre three-cylinder petrol engine is likely to debut in India with the Hyundai Venue. This motor already does duty in cars like the Elite i20 and Kona internationally, and has power figures of 120PS and 172Nm. The other engines on offer could be the ones seen in the current Hyundai Elite i20 which are the 1.2-litre petrol and the 1.4-litre diesel engine. However, the engines could be tuned to produce power figures at par with the rivals - Maruti Suzuki Vitara Brezza, Ford EcoSport, Tata Nexon and the Mahindra XUV300.